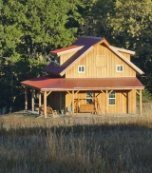 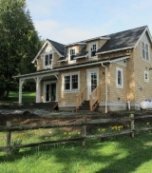 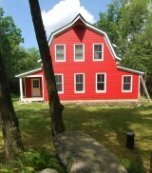 Farm House Designs...More Popular than Ever! 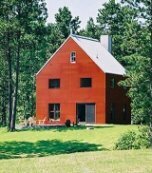 Farm house designs soar in popularity as we seek simplicity and solace from the complexity of life in the 21st century. 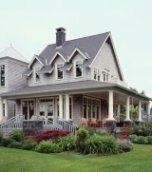 This iconic building type stirs the emotions and evokes nostalgic yearning -- real or imagined -- for a quieter, gentler time. 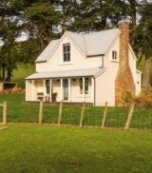 The farm houses that follow are of relatively recent origin but incorporate the architectural detailing of yesteryear. 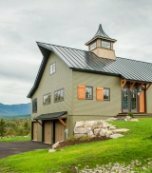 Whether traditional or contemporary in style, each design bears the hallmarks of its predecessors and -- like many of them -- is bound to become timeless! 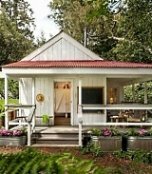 And speaking of timeless, the example below appears to have been plucked from a Norman Rockwell painting. 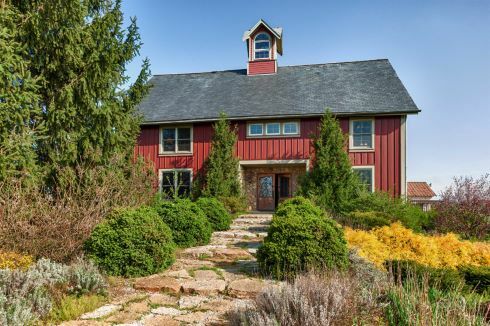 A winding drive lined with white fencing leads to a picturesque farmstead with an old-style windmill and a rooftop belvedere. 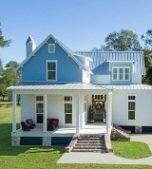 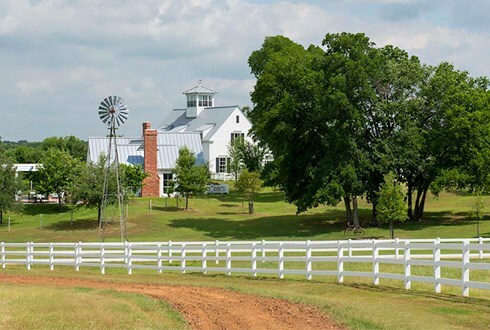 Located in Athens, Texas, about an hour from Dallas, this striking farmhouse revival design by architects John Sebastian and D. C. Broadstone functions as a weekend getaway and hobby farm for an empty nester couple with four adult children. 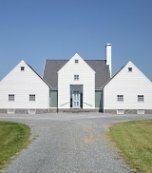 The design was inspired, in part, by east coast vernacular Greek Revival style. 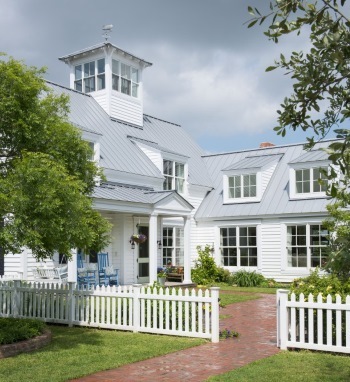 Clad with bevel siding, the home features antique brick chimneys and a metal roof. 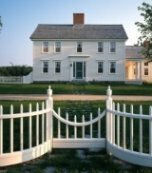 A white picket fence with swinging gate opens to the front entry courtyard. 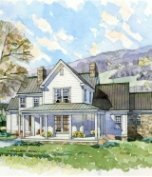 The comfy, laid-back interior design by M. Barnes & Co. includes a guest bedroom with a planked accent wall. 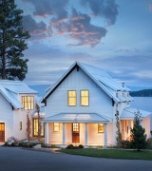 Large double hung multi-pane windows flood the room with natural light. 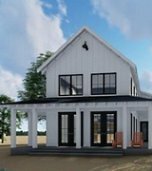 A symmetrical facade with shuttered windows imparts a more formal look to the farm house design below. 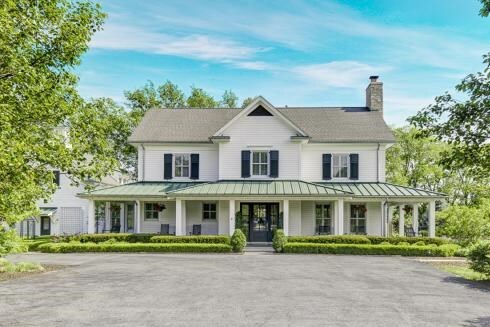 Located in Delaware, Ohio, it features a grand wraparound porch outlined by manicured hedges. 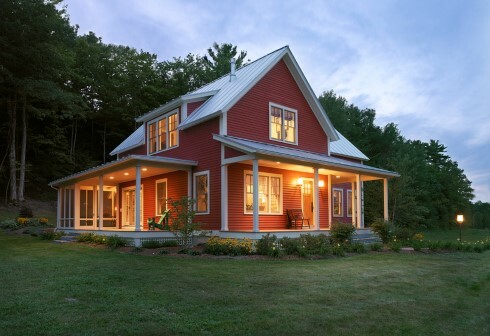 Designed by architect Sandra Vitzthum and built by ReArch Company, the "Daniel Chipman House" (below) honors the rich aesthetic legacy of rural Vermont. 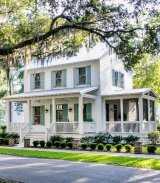 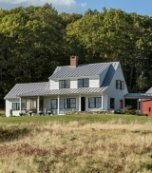 The 3 bedroom, 3 bath, 2,180 square foot home merges classic farmhouse styling with green building materials and techniques to meet LEED certification. 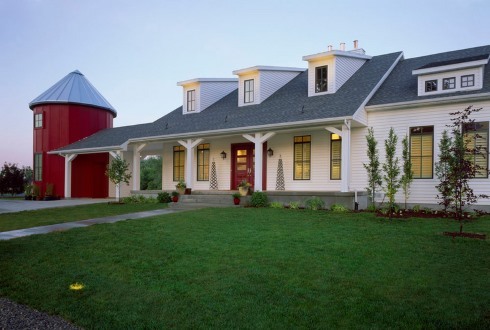 A modern take on traditional farm house styling by Utah-based Hyrum McKay Bates Design features a whimsical red silo. 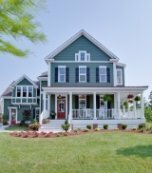 Shed roof dormers punctuate the roof line, while painted wood posts support the front porch overhang. 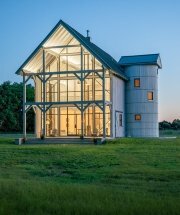 The "Silo" model by Virginia-based GreenSpur offers another modern take on traditional farm house design. 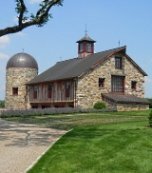 According to Leah Demirjian, assistant design editor at Builder Online, "the Silo units are a riff on their namesake agricultural tower -- coated with copper and meant to rust -- paired with a second volume with the proportions of a traditional farmhouse." 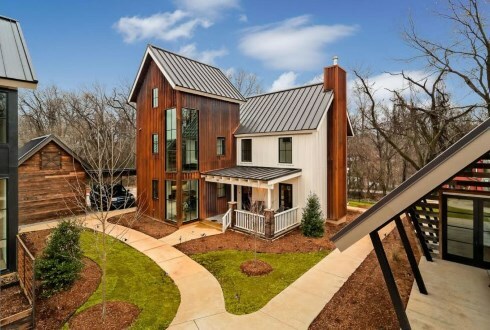 The 1,750 square foot design pictured below is part of a small cottage community in Bentonville, Arkansas. 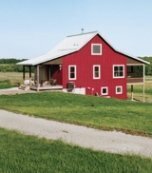 A late 19th century dairy barn (at right and below) now serves as home to a couple in Lebanon, Ohio. 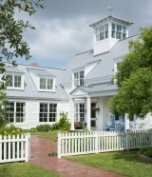 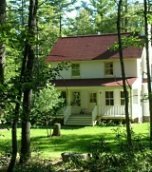 Pierced by large double-hung windows and capped with a cupola, the dwelling features an open and airy interior with exposed posts and beams. 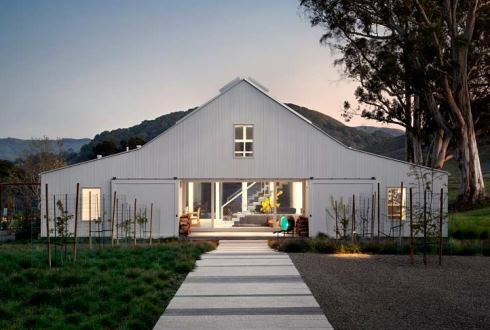 A barn home in northern California features crisp, clean styling. 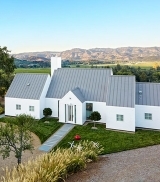 Designed by Turnbull Griffin Haesloop Architects, the traditionally-inspired facade (below) transitions to a dramatic contemporary wall of glass at the rear (bottom). 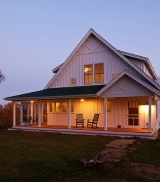 Please check back often or subscribe to our RSS feed, as we frequently add new farm house designs to our site. 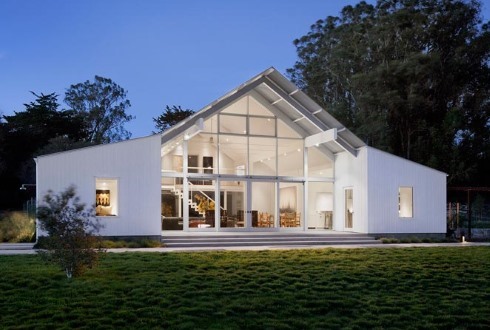 Modern Take on Traditional Theme! 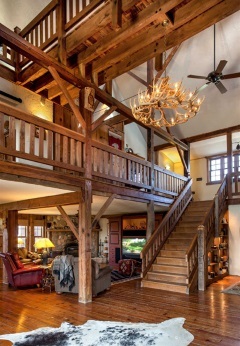 Warm Wood Accents & Soothing Colors!